As Summer approaches many people now are shopping for liposuction to help remove those extra bulges from winter. Dr. Tattelbaum warns to stay clear of marketing companies that are pitching this procedure as a cheap way to lose weight. The American Society of Plastic Surgery reports that liposuction is one of the most popular procedures being performed in 2014 with over 342,000 procedures being reported. Dr. Adam Tattelbaum a Maryland plastic surgeon says that liposuction technology and techniques have really advanced over the last decade providing patients with better results and a more comfortable recovery. Liposuction is not a solution to obesity but it works great for removing pockets of excess fat from anywhere on the body. Dr. Tattelbaum says there is a lot of misinformation out in the public by marketing companies promoting liposuction as a way to lose weight and it being non-invasive, you can learn more facts about lipo at Dr. Tattelbaum’s website http://www.atcosmetics.com/liposuction-maryland/. Liposuction is performed using long cannula rods that are inserted in a very small incision and the fat is simply sucked out of the targeted areas. Many of the newer liposuction machines are utilizing laser and ultrasonic waves to dissolve the fat prior to the fat being sucked out. These new technologies provide the surgeon with better sculpting abilities. The results are quite amazing and the discomfort quite minimal. To view Dr. Tattelbaum’s liposuction before and after pictures click here http://www.atcosmetics.com/liposuction-maryland/. According to Dr. Tattelbaum liposuction is priced based on the number of areas performed. The average person usually has 4-6 areas that liposuction is performed on. Dr. Tattlebaum says steer clear of marketing companies promoting liposuction at very low fees. He says in many cases the surgery is performed poorly and not by a Board Certified Plastic Surgeon, he says that many of his cases are revision cases from these marketing companies. Depending on the skill of the surgeon the recovery is usually quite easy going. There will be some discomfort and bruising but most patients will be able to go back to normal daily activities in a few days. Although, heavy lifting and workouts are not recommended for three weeks. Dr. Tattelbaum recommends finding a board-certified plastic surgeon that specializes in liposuction and don’t price shop, in the long run you will be happier with results. Liposuction is not a simple procedure as many companies promote it to be, it requires a skilled surgeon that understands body contouring for the best results. Board-certified plastic surgeons also have the latest advancements in technology at their office. To learn more about Dr. Tattelbaum you can visit him online at http://www.ATCosmetics.com. Dr. Tattelbaum is a graduate of the University of Pennsylvania. He attended medical school at Columbia College of Physicians and Surgeons in New York City where he received Honors in his plastic surgical rotation. He was Chief Resident at New York’s Mount Sinai Medical Center. Dr. Tattelbaum completed his plastic surgery training at Georgetown University and Harvard University. He is currently a member of the clinical faculty at Georgetown, where he has taught. He is an attending physician at many regional hospitals. He was listed in “America’s Top Surgeons” by the Consumer Research Council of America and has appeared multiple times in Washingtonian Magazine’s list of top plastic surgeons. 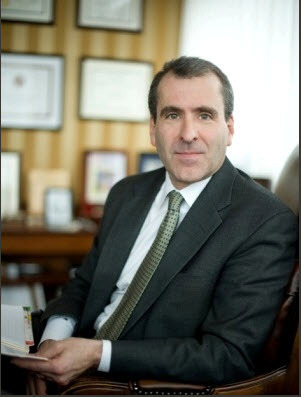 He is a founder and a senior partner of Washington Plastic Surgery Group in Rockville, Maryland. Dr. Tattelbaum offers many plastic surgery procedures, including breast augmentation or breast enhancement, liposuction, and abdominoplasty to patients from several areas in Maryland and Northern Baltimore Maryland.